Carpal Tunnel syndrome arises from performing repetitive actions like typing, using a computer mouse, or making the same movements with your hands hundreds of times a day (like factory workers do). It’s more than just an irritation – it’s seriously painful and can limit the use of your wrists. 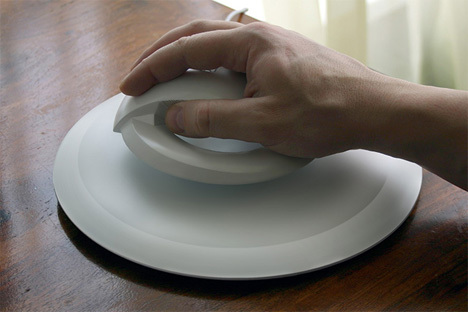 Designer Vadim Kibardin has designed a mouse that could spell the end of this painful condition. 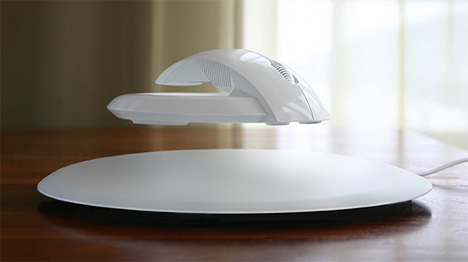 The Bat is a levitating mouse/base combination that utilizes a magnet to float above the surface of your desk. The change in position relieves pressure on the median nerve. This nerve allows the fingers and hands to move, but when it is damaged by carpal tunnel syndrome the hand and fingers experience numbness and weakness. The floating ring part of the setup contains a circular magnet that is repelled from the base unit. 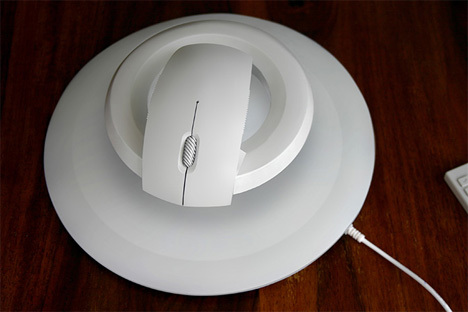 Because the mouse is no longer resting on the desk and the wrist can move freely, there is no pressure on the nerves. The designer didn’t mention anything about arm fatigue, which we imagine might be a problem when using a mouse that requires you to keep your arm aloft. See more in Unbuilt Concepts or under Technology. December, 2013.